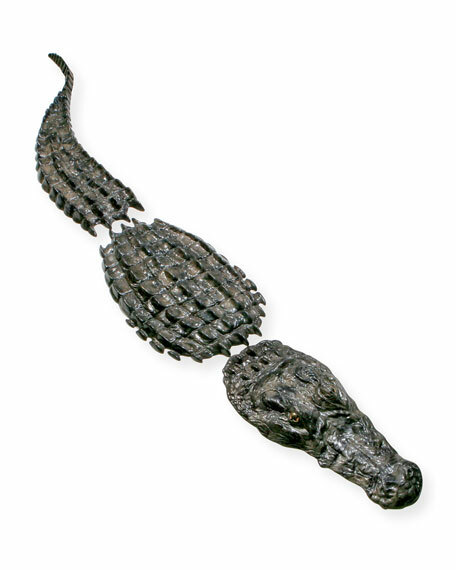 Three-piece cast bronze crocodile sculpture with hand-patinated finish. Can be displayed on a table or on the floor. 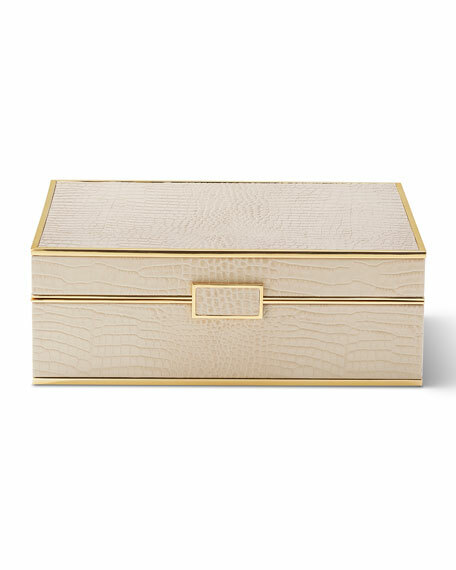 Jewelry box covered in Italian croc-embossed leather. Features brass hardware. 12.6"W x 10"D x 6.3"T. Imported. Handcrafted box. 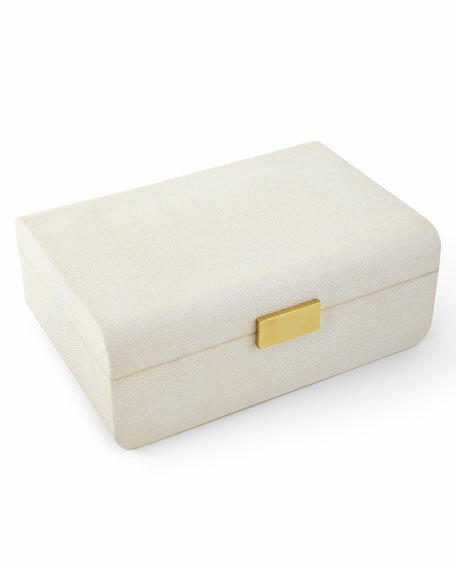 Embossed faux-shagreen (embossed resin) finish. Brass hardware; suede lining. 10"W x 4"D x 12.5"T. Imported. 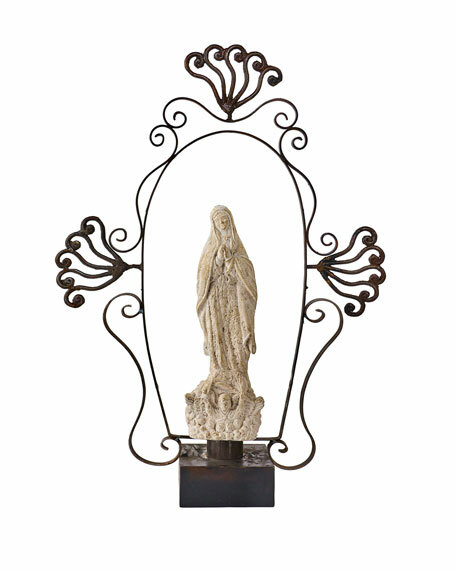 Virgin Mary with sculptural iron aura and cast base. This item is distressed and features intentional cracks and imperfections. 21"W x 6"D x 30"T. Imported. Boxed weight, approximately 17 lbs. 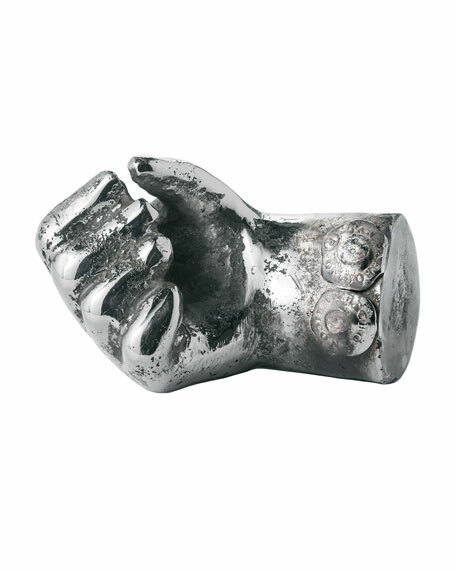 Wax cast iron hand sculpture with nickel finish. Clean with soft dry cloth. 4"W x 2"D x 2"T. Imported.